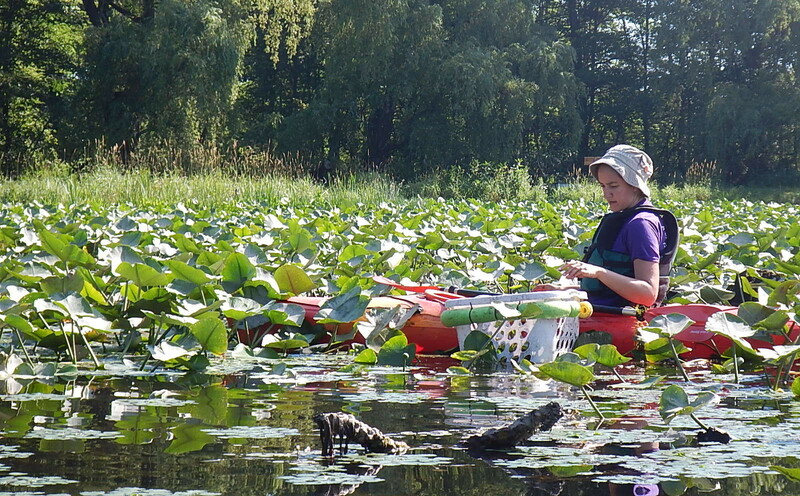 Getting involved with invasive species management and removal projects is easy! For more information on invasive species removal efforts and ways you can become involved, see our Events Calendar and Volunteer Page. For more information on Best Management Practices, how to remove invasive species from your property and/or develop management plans and priorities, see our Best Management Practices and our Invasive Species Profiles. 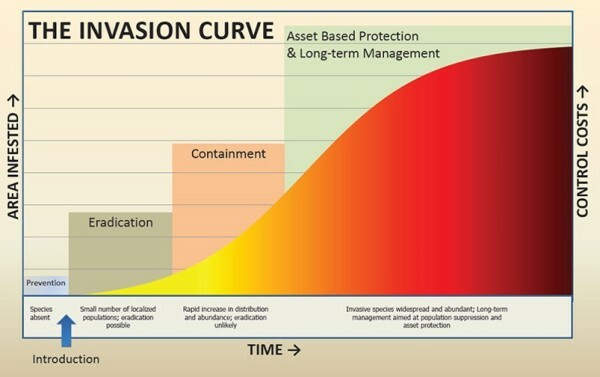 The Invasion Curve: The best and most effective method to control invasive species is to prevent their initial establishment. As an invasive species increases its population numbers and extent, it gets progressively more difficult and expensive to eliminate or control. Unfortunately, as numbers rise, the chance of eliminating the species decreases, and at some point, elimination of the invasive species becomes unlikely.